What day is it? I mean, I made these shortie cakes for the 4th of July to be eaten near a pool with a bikini on. (It happened.) Next thing I know it’s a week later, and I’ve been spending my week sleeping, eating popsicles, forgetting dinner, baking cookies, sleeping some more, and over explaining giant lunch-wiches. I guess sometimes summer just clobbers you, ya know? I’m probably not making a ton of sense. I blame it on my little break from coffee this week. So just know THIS. These shortcakes are cut into squares which totally blows my mind. 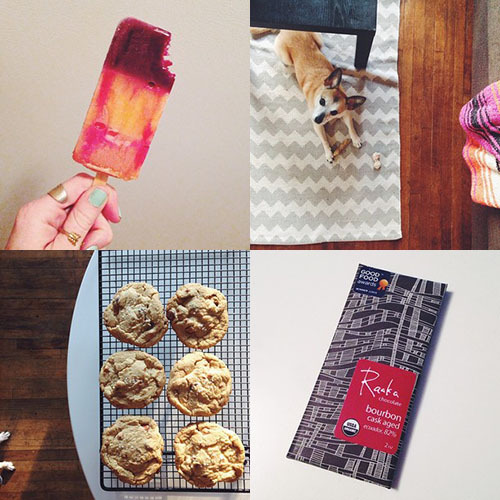 I just want to make everything out of the new Jeni’s Spendid Ice Cream Desserts Cookbook. I sometimes bring it to work just because I want to have it near me to look at at all times. I even overhear biscuit talk at work and give them the book to photo copy and tell them they can have biscuit success! They can! So make this for a crowd! Because it make a lot. 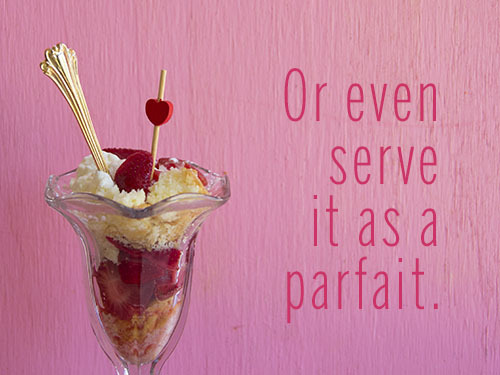 And better yet serve it up as a parfait! Or crumble it up for in ice cream, or just eat it with honey on it in the morning standing in your kitchen like Pretty Woman (instead of pancakes). Preheat your oven to 450F. (It’s summer, I know… sorry guys! These are worth it.) Butter a 9×13 inch pan or butter/line with parchment paper. In a stand mixer combine the butter and flour until there are no pieces of butter bigger than a pea. Add the cream and mix on low until dough comest together into a shaggy mess. 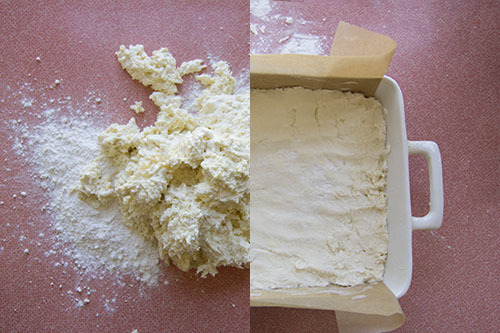 Turn dough out on a floured surface and press it together. Fold the dough in half, then over itself again two or three times, just until no longer clumpy. Spread the dough into the pan using your hands. Bake for 20-25 minutes, or until lightly golden. Remove cake from oven and cool on rack. White Lily flour is everything.. and your summer is sounding great my dear… Love these shortcakes..
I’m not going to lie – your week sounds absolutely heavenly. Specifically the eating popsicles and sleeping a lot part. I need sleep and I need popsicles. And shortie cakes! We’re totes on the same wavelength, I just posted a blueberry lemon shortcake recipe today. PS. 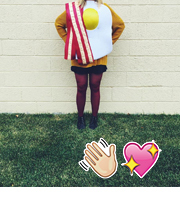 Those cookies – I need them. 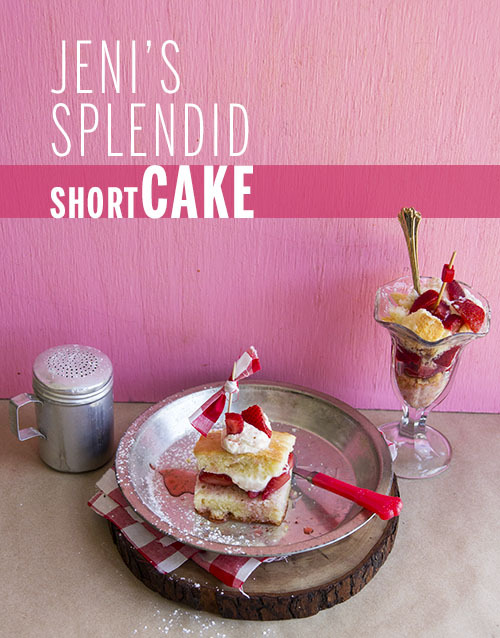 Jeni’s cookbook sounds fabulous, I don’t think I would let it out of my sight either!! I love how versatile this shortbread is, such great ideas you have! Shortcakes in squares is a fantastic idea!! Loving these! 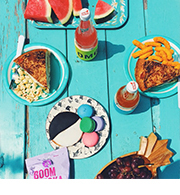 Summahtime perfection! I want this for breakfast, lunch dessert and dinner dessert. And probably shortcake snacktime, too (<– it's totally a thing). Love it!! AND I just made some peanut butter fudgy popsicles!! IN my lovely Christmas gift! Yup! My absolute favorite summer dessert served up in a square, can’t believe you made it more awesome! This looks so incredible… And I love that the recipe is just like the cake: short and sweet!